Almost every girl loves flowers. Between the fresh scent, the natural colors, the beautiful display and the sweet thought that accompanies them, flowers are a special gift between dating couples. With countless varieties of colorful blooms and at least that many ideas for making a floral gift special, you can come up with various flower ideas for your dating activities. A hand-picked bouquet--without the dirt and roots, please--is a precious display of thoughtfulness and romance. The gentleman has taken the time to stop and pick a sweet selection of wildflowers or flowers grown in his own yard. Store-bought flowers can be prohibitively expensive for some dating couples, so a hand-picked bouquet is the perfect solution. However, hand-picked flowers can be difficult to find and are not always in season. The gentleman may have to seek out a field of wildflowers in the countryside or beg a neighbor's permission to cut a few tulips. 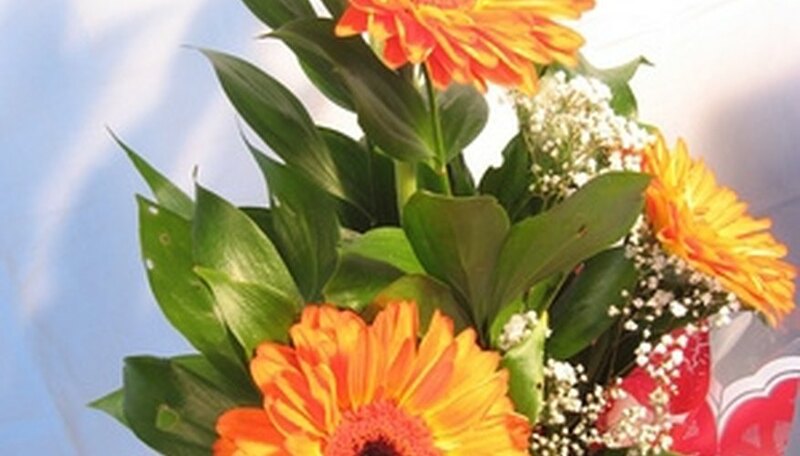 A gentleman who wishes to put a bit of effort into a flower gift will select a flower with a specific meaning. For example, the alstroemeria signifies friendship and devotion while the apple blossom signifies hope. The blue violet stands for faithfulness and the calla lily signifies magnificent beauty. Possibly the most appropriate flower for a dating couple is the lilac, which signifies the first emotions of love. But be careful, because a balsamine signifies impatience and the lobelia signifies malevolence. For other flowers and their meanings, visit Romance Stuck. For a woman with a green thumb, a potted flower is a beautiful choice. For best results, select a small annual blooming plant such as alyssum, geraniums, periwinkle or zinnias. Select a pretty hand-painted ceramic pot or a lined basket in which you can present your gift. Wrap it with a ribbon for the final touch. Make the flowers a gift within a gift by partnering them with a beautiful accessory that she can use long after the flowers have faded. Whether a gentleman or a female friend crafts a beautiful picture vase, adds paper mache to an existing container, or creates a woven ribbon vase, a homemade gift housing a flower arrangement is quite thoughtful. Other unique containers include small wagons, watering cans, and birdcages. If the gentleman is planning ahead, he can force a bulb to grow in a pot or other container during the winter. Plant the bulbs close together in a pot with good soil mixture. Leave outside in cold elements for 12 to 13 weeks, then bring indoors to bloom. Some blooms such as hyacinth, crocus and narcissus can be forced in water, which takes 4 to 8 weeks. A blooming bulb is a precious commodity if a lady receives it when the snow is falling. Lorette, Kristie. "Flower Ideas for Dating." Dating Tips - Match.com, https://datingtips.match.com/flower-ideas-dating-6864342.html. Accessed 19 April 2019.